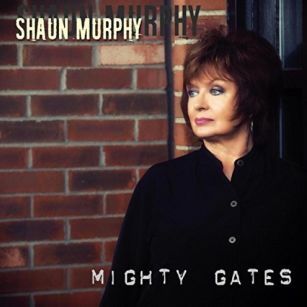 Since 2009, Shaun Murphy and her band have put out a steady stream of albums, including the recently released Mighty Gates. The common ground on the releases is the mix of Rock, Blues, Country, and Soul coming from the band, all connected by the power in the pipes of Shaun Murphy. In addition to solo outings, Shaun Murphy has been singing on album with fellow Detroit, Michigan-based musician, Bob Seger, since 1973 and been a part of his touring outfit since 1978. 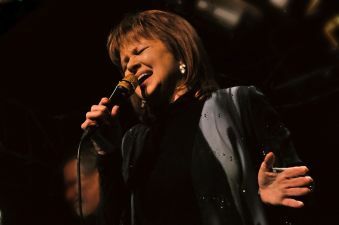 Her studio and stage work includes artists such as Eric Clapton, Glenn Frey, Herbie Hancock, Bruce Hornsby, J.J. Cale, and Alice Cooper as well as being a member of Little Feat on both record and stage from 1993 through 2009. Years of touring give “Gypsy Highway” more meaning as Shaun Murphy swears ‘I ain’t gonna turn around’ on the album track from Mighty Gates. She sings out to the star-filled sky guiding her home on the gospel rock march of “On a Night Like This”, struts out over the crunch of guitars to advise “Be Good to Yourself”, and tries to shake loose a memory on the funky chord chops of “I Never Loved You”. A slow Rock simmer quiets to let Shaun Murphy’s voice rise above the melody, encouraging and inspiring with her words on the title track as she joins a worldwide community together to stop the madness of our times. Mighty Gates sashays out on “That Kind of Time” as it looks for a little loose love while it lets the Blues take over for “I Don’t Need Nobody”, pokes at “Walk in the Shadows” with sharp-edged guitar licks, and straps itself to a Rock’n’Roll boogie beat with “Slightly Free”. Shaun Murphy is a powerhouse as she makes it look as easy, stepping up to the microphone and opening her mouth to greet “Blues in the Morning” as she shimmies on self-awareness with “Out of My Own Way” and puts the pedal to the floor as she rips up the dance floor in “Down The Honky Tonk”.